I hope you are weathering the winter storms and looking forward to the coming of Spring and the AAPS Annual Meeting on April 7-10, 2018. The program for the meeting is terrific - go to our website, www.aaps1921.org, to see what the Program Committee has organized for 2018. The Annual Meeting will start with our traditional pre-meeting symposia. On Saturday the Reconstructive Symposium planned by Drs. Paul Cederna and Chuck Butler will open with sessions on BIA-ALCL and fat grafting, followed by topical presentations on enhanced recovery, use of local anesthesia and pain control methods, and a primer on gender confirming surgery. Sunday's Aesthetic Symposium planned by Drs. Mark Constantian and Peter Rubin is in synergy with Saturday's session by discussing the aesthetic aspects of reconstructive surgery and the challenges of championing aesthetic surgery in the academic setting. In addition to great content, both symposia have chosen outstanding speakers. On Sunday afternoon the Opening Ceremonies, which remain a traditional hallmark of the Association Meeting, will feature the introduction of new AAPS Members, announcement of AAPS award recipients, presentation of the best paper at EURAPS by Dr. Francois Firmin, ACAPS' Presentation of the Goldwyn Award, and concludes with my Presidential Address, entitled "The Uniqueness of the Plastic Surgeon's Professional Ethic." The evening will then be celebrated at our Welcome Reception and Poster Session, for attendees and registered guests. Please be sure to look for and welcome our Cannon Students. The members of the AAPS Cannon Group have given generously to support the attendance of 19 competitively selected medical students at this year's Annual Meeting. In order to engage these future leaders, they will be invited to meet our Board at the New Members reception, and I’ll introduce them – and the wonderful Cannon donors -during the Opening Ceremonies. On Monday and Tuesday mornings of the Annual Meeting, don't miss the Breakfast Breakout sessions. There are 6 topics from which to choose and they range from highest new tech to personal life issues. On Monday, the ACAPS Panel will review the latest developments with MOC, and the Murray Lecturer, Dr. Laurence Boon from Brussels, Belgium will give an inspiring presentation entitled "Slow-Flow Vascular Malformations: From Patient to Bench, and Back to Bed-Side". A panel about clinical Lessons Learned over 20-years will feature those with long experience that formed their surgical approaches. The papers selected for presentation throughout the program were carefully selected by Dr. Sheri Slezak and our Program Committee. There were a large number of submitted abstracts and only a small percentage of these high-quality papers can be included in our program as podium and poster presentation. Selection for our Annual Meeting is a mark of distinction. In addition to our Welcome Reception, we've planned special events where we can enjoy each other's company. 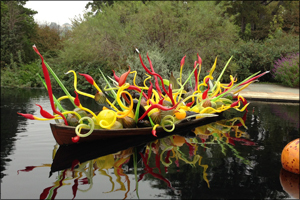 In what we hope will be one of your cherished AAPS Annual Meeting memories, the President's Dinner will be held at Chihuly Garden and Glass Museum. 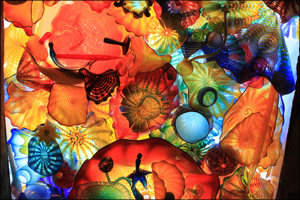 The facility is breath-taking so prepare to be dazzled. 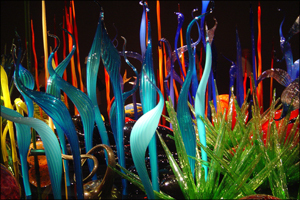 Please note that this event is a unique opportunity to have access to the Chihuly facility and will be slightly less formal than our traditional black-tie banquets, and so attendees and guests are invited to wear cocktail and business attire. The Women Surgeons Luncheon on Monday will also be slightly different this year. Facilitated by Drs. Helena Taylor and Amy Colwell, topical discussion is planned. And for those members of the Cannon Group, be sure to reach out to Dr. David Larson and sign up for the festive Cannon Dinner at the Seattle Yacht Club. We'll be toasting the many Cannon members who have so readily and willingly supported the medical students attending the meeting for the first time this year. As you know, the Association is not just an Annual Meeting – last year our webinar series debuted. Please mark your calendar for our next webinar, which will be held March 7 on "Virtual Planning and 3D Printing". Thank you so much for the honor of serving as your President, and I look forward to warmly welcoming you to Seattle in April.